Time to consider how best to respond to muscle flexing by the Chinese navy in Australia’s backyard. The Australian public is being reminded of Indonesia’s importance to the country’s foreign and defence policy—past, present and future. Last Thursday, many Australian viewers switched their televisions over to the Australian Broadcasting Corporation (ABC) in an attempt to escape from the media frenzy surrounding the release of Australian citizen Schapelle Corby from prison in Indonesia. They found the national broadcaster’s Lateline program reporting on another, far more significant story emanating from their near north. On February 1, the Chinese navy (PLAN) sent a taskforce of three warships from Hainan in southern China through the Sunda Strait in Indonesia, along the south coast of Java and past Christmas Island into the Indian Ocean. Two Chinese destroyers accompanied an advanced 20,000-ton amphibious ship, capable of carrying hundreds of marines, and conducted a series of combat simulations before heading north through the Lombok and Makassar Straits and into the Pacific. The ABC noted that while conducted wholly in international waters, this was the first time the Chinese have carried out military exercises so close to Australia’s northern maritime border. The Lateline report then turned to security analyst Rory Medcalf, who outlined that China is sending a clear and deliberate signal to the U.S. and to the region. For those not in the business of closely watching strategic developments, this comes as a rude reminder to that the dawning of the Asian Century is not all roses; opportunities for increased prosperity come with a growing and uncomfortable strategic uncertainty. Significantly upgrading Australia’s relationship with Indonesia offers a compelling proposition—but just don’t call it an alliance! Australia-Indonesia relations are currently recovering from the low of the Snowden leaks as well as seemingly perennial tensions on asylum seekers and the inevitable amplification of the Indonesian election season. However, this loud and clear signal from the Chinese navy should put things in perspective. Cooperation codified through the Lombok Treaty (2006) and its additions have proved successful in responding to threats from non-state actors. The same cannot be said for co-operation in response to higher-level threats. There are exchanges and joint exercises in the defense sphere, and in 2010 Canberra and Jakarta declared a “strategic partnership”—but this process is too slow and nowhere near its potential, without even mentioning the economic or diplomatic shortfall in our cooperation. A much-enhanced bilateral partnership in all of these spheres would go a long way to achieving a promising long-term goal: a Southeast Asian “power core.” Australia and Indonesia not only have complementary strengths, but the amplification provided by this combination of power could make the region more resistant to external pressure and coercion. This is particularly important in building resilience, or “ballast,” as Northeast Asia becomes less stable, more competitive and the level of risk is rising. The creation of this power core between arguably the two strongest military and economic powers in Southeast Asia would use the joint strength of a greatly enhanced bilateral partnership to foster stability, deterrence and ultimately a greater degree of independence for all states in Southeast Asia. The creation of a centripetal force, or strategic gravity, by Australia and Indonesia could potentially draw in others in Southeast Asia, such as Singapore, and then potentially ASEAN as a whole to stand firm in the face of external challenges to the open, liberal trading order—particularly in the maritime domain. For the United States, this would only increase the value of Australia and others in Southeast Asia as allies and partners. Similarly, Australia’s increasingly close alliance with the U.S. is an asset to all in Southeast Asia. A concerted effort by the U.S. to help speed the realization of such a Southeast Asian power core may seem to some in Washington like herding cats, yet such efforts are critical in forging and thickening links between the spokes of the Asian regional web of alliances of which the U.S. has long been the hub. This enhancement of strategic depth for all three countries, and potentially Southeast Asia as a whole, could help steady Washington in its rebalancing. 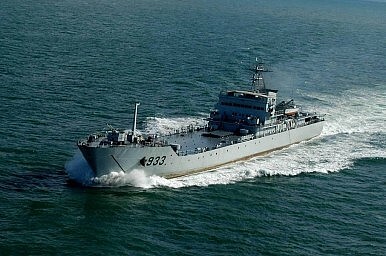 Moreover, Indonesia and Australia may be critical in crafting to a robust response to China’s anti-access strategy; turning it on its head by providing sites for the deployment of land-based anti-ship missiles at key maritime choke points in times of crisis in the Strait of Malacca, the Sunda and Lombok straits and the Java Sea Routes. Australian Foreign Minister Julie Bishop has responded to the latest signaling from the Chinese navy. A power core in Southeast Asia – food for thought for Canberra and Jakarta. Henry Lawton participates in the Young Leaders Program at Pacific Forum CSIS. His recently completed M.Phil dissertation at Cambridge focused on the U.S.-Australia alliance, with particular reference to Indonesia in line with his language studies. China Deploys Diesel-Electric Attack Submarine and Rescue Vessel in Indian OceanChinese Navy Frigates Trail Japanese Helicopter Destroyer in the South China SeaUS 2019 Defense Bill Calls for Public Reporting on China's Militarization Activities in the South China SeaWhat the Trump Administration's Decision to Disinvite the Chinese Navy From RIMPAC 2018 MeansAs China's Type 001A Carrier Enters Sea Trials, What's Next for the PLAN's Carrier Force?